A Scout at least 16 years of age who has shown outstanding leadership skills may be appointed by the Senior Patrol Leader, with the advice and consent of the Scoutmaster, to serve as a Junior Assistant Scoutmaster. These young men (a Troop may have more than one Junior Assistant Scoutmaster) follow the guidance of the Scoutmaster in providing support and supervision to other boy leaders in the Troop. 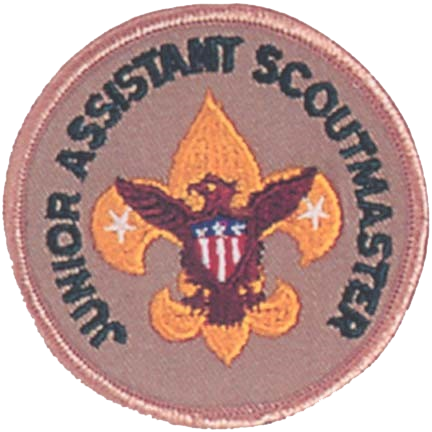 Upon his 18th birthday, a Junior Assistant Scoutmaster will be eligible to become an Assistant Scoutmaster. * Functions as an Assistant Scoutmaster. * Performs duties as assigned by the Scoutmaster.